Building your email list might not sound like a huge deal when you’re in the ecommerce space, but it can have a huge impact on your sales. According to a Marketo study, 96% of consumers who land on a website aren’t yet ready to buy. Capturing those leads’ email addresses allows you to nurture them toward a future purchase. If you don’t bother to collect email opt-ins, those consumers might buy from a competitor instead. Think about the last time you bought a product online. You might have visited several stores, read only reviews, and researched feature availability. And that’s only if you were committed to purchasing something fairly soon. But what if you heard from one particular ecommerce store once a week? Maybe you would have followed that company on social, visited its website more than once, and remembered its name when you finally wanted to buy the product. Believe it or not, you can calculate the value of a lead. Simply divide the amount of money you generate from email opt-in customers by the number of emails in your database. This makes lead generation trackable. As you grow your opt-ins, you can track how much those leads contribute to your bottom line. Once you see those numbers, you’ll be glad you made the effort. But how do you grow your opt-ins by 400% or more? And what mistakes should you avoid along the way? I’m going to answer those questions (and more). Let’s dig into my three quick lead-generation tips for building your email opt-in campaign. Starting now, think of email addresses as currency. When you ask someone to give you their email address for marketing purposes, you’re executing a transaction. According to the latest statistics from the Radicati Group, consumers receive 269 billion emails every day. By 2021, that number is expected to grow to nearly 320 billion. With all these emails flying into inboxes, you have to earn the privilege of emailing your leads. They won’t give away their addresses for free. That’s where the offer comes in. As I said, the lead-generation process is a transaction. If you want something of value — an email address — you must provide something of value in return. In most cases, this is a lead magnet. If you’re in the ecommerce field, you might consider offering a discount as your lead magnet. Bliss, a beauty brand, incentivizes email opt-ins with a 20% discount off the subscriber’s first order. It doesn’t just work for B2C businesses, either. Freund Container, a B2B business that sells custom packaging and containers, collects emails by offering 10 percent off the subscriber’s first order. Your lead magnet doesn’t have to be a discount, though. You could offer anything you want as long as it conveys real value. To determine the best lead magnet for your audience, consider The 6 Principles of Persuasion by Dr. Robert Cialdini. By better understanding human psychology, you can anticipate what your audience wants. This is the old give-to-get adage. When we receive something of value, we are more likely to want to give something back. By offering a lead magnet, such as a free checklist or toolkit, you show that you’re willing to be generous with your knowledge. Your audience will want to reciprocate. You might have heard of Simon Sinek’s “Start With Why” movement. It’s built on this particular principle, which states that we align ourselves with people who share our values. If your lead magnet is a coupon or discount code, you show that you value frugality. Since most people are or want to be frugal — save money — they’ll feel inclined to sign up for your list. If your lead magnet is an e-book, for instance, that tells people how to solve a problem, you demonstrate commitment and commonality. People who have that problem will want your e-book and will feel willing to part with their email addresses. Most consumers don’t want to be “first.” It’s too much of a risk. It’s a form of social proof. If consumers know other people are buying something, they want in on the action. Your offer should include social proof, such as testimonials, the number of people subscribed to your list, major publications that have reviewed your product, or third-party reviews. It’s why Seth Godin can sell millions of books — he’s demonstrated that his ideas make magic happen in the marketing space. You don’t have to be a world-renowned speaker. Businesses can convey authority in lots of ways, such as by providing your unique credentials or certifications or by citing media figures who have interviewed you. Case studies work, as well. Scrub Daddy, a product that first debuted on the television show “Shark Tank,” has sold billions of products based at least in part on likeability. The founder went on television and presented himself as the guy next door — someone who saw a need, developed a product, and retained humility in the process. If you’re friendly, people will like you. When we think something is in short supply, we want it more. Our brains are wired to spend the least amount of effort and use the least amount of resources as humanly possible. Which means when you present an open-ended offer to someone, they are much less likely to get it. If you create a sense of scarcity, the brain instantly believes its’ about to lose out and it pounces on the opportunity. Create scarcity by limiting time or resources. Make an offer that only lasts for 24 hours, for instance, or provide a product that’s in limited supply. If you ask a “yes-or-no” question first, you will typically generate 20 to 30 percent more leads. Journeys and courses convert better than e-books by 16 percent, so consider getting creative with your lead magnets. You should offer your lead magnet throughout your website (homepage, blog, header, exit pop-up, etc.). You can vary the offer or language on different pages if necessary to make it relevant. A good lead magnet will generate 5 emails for every 100 unique visitors. Our co-founder’s site NeilPatel.com generates roughly 7.4 emails for every 100 unique visitors. Have you ever been to a fancy restaurant? You might have noticed that the presentation of the food is almost as important to the chef as how the dish tastes. That’s true for lead generation, too. If you’re trying to convince website visitors to sign up for your email list, you need to get their attention in a positive way. The first four options I named can work well, but they’re not as effective as the last two. Why? Because we’re used to seeing content in the navigation, sidebar, footer, and body copy. It often fades into the background. A popup or a top bar offers something unique and different. They capture your attention right away. 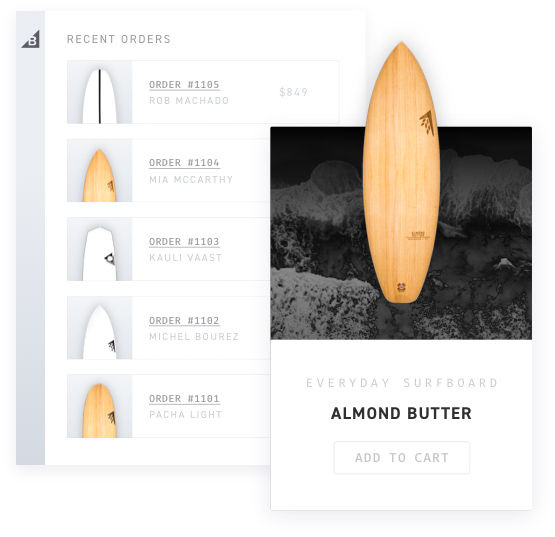 A software like Hello Bar allows you to create popups, top bars, sliders, modals, and other lead-generation assets that turn your website into an opt-in machine. A top bar sits at the top of your website. You can have one on every page, adjusting the copy as needed based on the page’s contents. You can include a form field to collect email addresses in a top bar. These are also useful for announcing sales, encouraging people to follow you on social media, and more. When you log into your Hello Bar account, you can select the type of bar you want to show your visitors and customize it. For instance, you might want to add a slider or modal to collect more emails. But don’t ignore the secret weapon that’s criminally underutilized. A page takeover — also called an exit popup — takes over the user’s browser screen in place of your existing website when the visitor attempts to click away from the page. It doesn’t stop the user from exiting the site, but it gives him or her a reason to stay. You can add images, testimonials, or anything else you want to the exit popup. Make it as appealing as possible so users will want to take advantage of your offer. Let’s go back to those psychological principles. If you know your audience wants to save money, offering a discount or coupon code can trigger their desire to be frugal. Similarly, adding a sense of urgency (such as a 24-hour time limit on the offer) can produce more opt-ins. People don’t want to miss out on something amazing. You just have to convince them they want what you’re offering, and the best way to do that is to get to know your audience and test different offers. Some marketers shy away from popups altogether. They say they no longer work and that they’re just annoying for the user. However, our experience doesn’t bear out those assumptions. Email Opt-in Case Study: NutritionSecrets.com. I used to run a website that sold nutrition supplements. I’ve since sold it to another company. Deploying an exit intent popup on NutritionSecrets.com resulted in email opt-in growth of 400%. It appealed to anyone who wanted to shed a few pounds. For Nutrition Secrets, we were originally collecting fewer than 10 leads per day with a simple sidebar. When we added an exit intent campaign in Hello Bar, like you see here, we went to 50 leads per day and increased our conversion rate from around 1% to 4.5 %! Have you ever found yourself on a site that instantly threw a popup in your face? Maybe a push notification offer appeared, as well, before you could even begin to navigate the site. If you’re like many consumers, you likely clicked away without bothering to explore the site further. Annoying website visitors is a surefire way to kill your conversion rate. For one thing, you don’t know why the visitor has come to your site. The offer you push on them might not even be relevant to their needs or desires. Worse, it’s a relationship killer. You destroy trust, authority, and credibility with one wrong move. You must then overcome that obstacle before you can even think about converting the visitor. You must offer the best user experience possible. Tyler’s, a brick-and-mortar and online sporting gear retailer, 2Xed their conversion rates after switching to BigCommerce and improving the user experience flow. But timing your offers correctly and putting them in the right locations on your site are absolutely key to getting the highest possible conversion rate. After improving the customer experience, focus on delivering the right message at the right time. We love using behavior-based marketing. It’s all about making decisions based on what a visitor does after arriving on a site. The timing for when you present an offer is key. Creating offers based on people’s behavior is also essential, especially when it comes to ecommerce marketing. People are generally searching Google or your site with a specific intent, so you have to anticipate what those visitors need with your offer. First you have to understand what your users are doing. Head into Google Analytics and take a look at the pages on your site with the highest traffic. Look at what action steps people are taking on those specific pages. Craft your offer based on the psychological principles described above. Now, it’s time to take inventory of your site. When are your offers currently offered to visitors? What is your conversion rate on those offers? If they’re performing well, leave them alone. You can also A/B test them against another offer to see if you can boost your conversion rate even higher. If you’re not getting good conversions, decide when you are going to present your offer to visitors based on what people are doing on the pages. If people are leaving your site constantly, for example, a page takeover on exit is great. It’ll capture their attention and give them a reason to stick around. But what if people are sticking around for a while? Delay your offer deployment based on time on page. To boost your conversion rate even further, take into account what attracts people to individual pages. For instance, if it’s a product page, deploy an offer based on that specific product. Personalization can increase email opt-ins by a significant margin. Now, let’s talk about location. You may want to offer the same freebie in several different ways. For instance, you could use a slider and an exit intent popup, but vary the language in the headline and CTA for each. Before you set them up, consider the state of awareness that someone is in before they access that page. The higher the state of awareness, the more that you can ask them for. Conversely, the lower the state of awareness, the bigger incentive you need to give for someone to take action on your offer. If you haven’t already, check out a heat mapping software tool like Crazy Egg to see where people are spending the most time on your website. These can allow you the opportunity to see if you should put a sidebar on certain pages with an opt-in opportunity or perhaps put one in the header of your homepage. What is important is serving the right message at the right time so that it appeals to your audience. Email marketing is huge. Growing your email opt-ins by a significant margin can result in huge profits. It begins the process of lead nurturing so you can create relationships with your subscribers. But it all starts with email collection. If nobody acts on your offers, you leave money on the table. Follow the three top tips to grow your email list. Create an offer that people can’t refuse, make sure your presentation stands out, and serve up the offer at the right time and in the right location. Remember, email addresses are currency. You have to offer something of value to get an email address in return. That thing of value might be a mini-course, a coupon, or something else entirely. As long as it’s enticing, you’ll collect email addresses. Human psychology can help you improve your offer and present it in the most attractive way. Start by improving the user experience. Don’t annoy or irritate your audience. Give them time to check out your site. Encourage reciprocity by being generous with information. Show you’re willing to give away something of value for free. Use social proof, authority, likability, and scarcity to further reel in the subscribers. What’s your best lead generation hack? Still interested in improving your ecommerce site? Check out Mailjet’s ultimate guide to ecommerce here. Mike Kamo is the CEO and co-founder, alongside Neil Patel, of Hello Bar and Neil Patel Digital. He is a renowned digital marketing and conversion optimization expert.